Three UCLA architecture and urban design factuly have recently won the American Institute of Architects | Los Angeles Design Awards. Dana Cuff, professor and the director of cityLAB, and Kevin Daly, lecturer with cityLAB, won the Citation Award for their Bi(H)OME, which was temporarily assembled on campus. 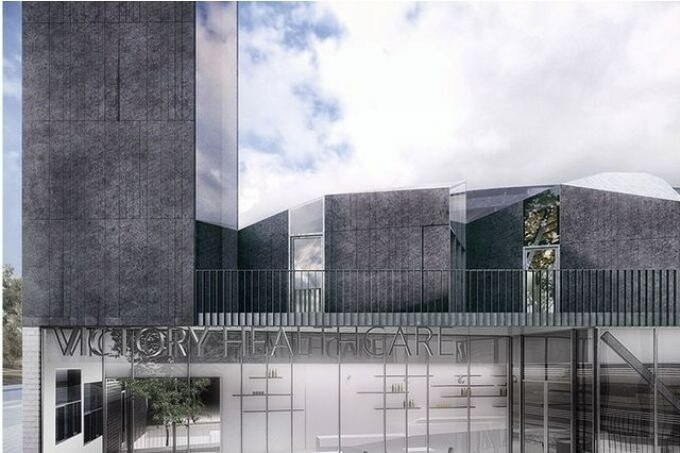 And professor Georgina Huljich won the Citation Award for the Victory Healthcare building in Los Angeles. Her design is entitled "P-A-T-T-E-R-N-S."
Selected by a jury of distinguished architects based across the United States and conversant in the field’s potential at national and international levels, the AIA|LA Design Awards honor design excellence in some of the most significant completed projects in the country at this time. The caliber of work submitted and volume of submissions make the program among the most competitive AIA chapters host.